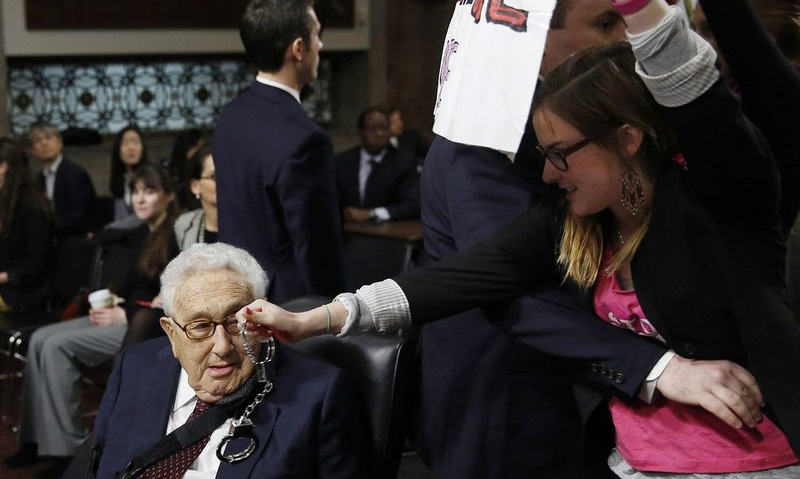 Attempting a citizens' arrest of Henry Kissinger! Alli and Anna Kaminski read the arrest warrant! Did you hear? 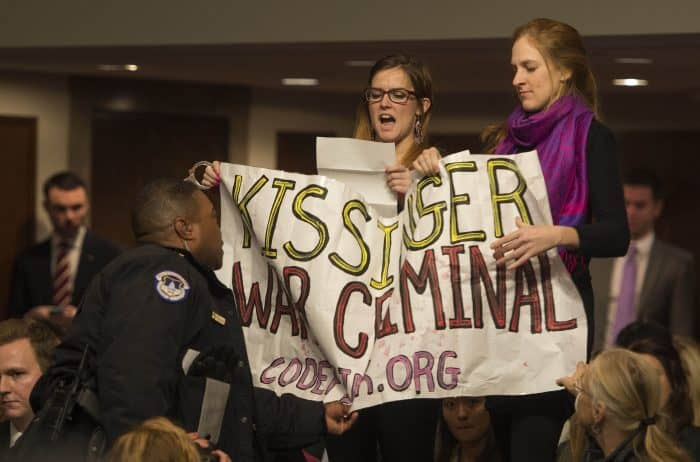 CODEPINK took the Senate by storm yesterday by attempting a citizens' arrest of Henry Kissinger while he was testifying in the Senate Armed Services Committee hearing! Chairman of the hearing, Senator John McCain, responded by referring to us as “despicable," "disgraceful," and "low life scum” –– and we couldn’t be prouder. For over a decade, CODEPINK has been holding war criminals accountable for their actions. We’ve exposed the lies in the halls of power in Washington DC and across the country, starting with the Bush administration and continuing into the Obama years, but never forgetting the grave offenses committed by people before them, like Henry Kissinger. Check out more pictures from the arrest on our Facebook page! But our work isn’t possible without you. Please consider supporting our work by making a donation today.